Will wearable technology have a place in the office? Will we have the online infrastructure to support new office devices? It's easy to see how the internet has changed our global society and transformed the business world. It's an essential tool for most organisations and the web functions it supports are critical – can you even imagine trying to do your job without email? As the internet continues to be more closely integrated into the office, it has been fascinating to watch the ongoing miniaturisation of technology. In the early days we used to have external modems the size of a small briefcase, which called for highly specialised equipment that was often expensive. Today's cheap and tiny modems open up exciting new possibilities. Smartphones and tablets have already changed day-to-day life, giving people access to information quicker than ever before. Stockbrokers can make trades from anywhere, and doctors can communicate with colleagues across the world using video even when they're in the middle of surgery. 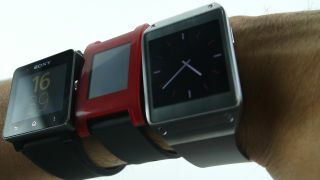 But with the continued hardware innovation, almost anything can be connected to the internet, including watches and even glasses. And with this trend of ever-smaller and more portable devices showing no signs of slowing, wearable technology looks like it could be the next big revolution for businesses. In the future we will see that instead of just one person or team working on a project, improved live data and video sharing technologies will enable multiple groups to tackle problems and spread the workload. This kind of social collaboration within enterprises will once again mean that the internet changes how the business world operates. But this could be cut short before we are able to reach this next level of technology. When it was first created, the internet only had a finite number of IPv4 addresses, which are needed to identify devices connecting to the internet. IPv4 is quickly running out across the world and when the stock is exhausted, it will become very complex to connect new devices to the internet. That's where IPv6 comes in – this new protocol has 340 trillion, trillion, trillion address spaces – more than enough for every business to have every employee carry a dozen different Internet connected devices, and still have room to spare. But IPv6 deployment has a long way to go and that could lead to problems for businesses looking to grow. Any business which doesn't deploy IPv6 and doesn't lobby its ISP to provide IPv6 is limiting its own growth potential. IPv6 readiness helps businesses to future-proof themselves, and can enable a new way of using technology for collaborative working. When you look at how useful the Internet is today, why would you want to miss out on making the most of it tomorrow?